Much to the joy of the Fremantle faithful, the club’s greatest player decided to play on in 2016. 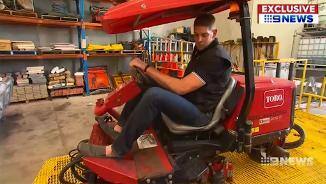 Pavlich remains one of the best-conditioned players at the club and will look to overcome a nagging Achilles injury that hampered the second half of last season. He will look to improve his goal tally, after finishing with 40 in 2015. He’s very fit and looks refreshed both physically and mentally. Although he handed over the captaincy it hasn’t diminished the leadership he provides in any way. Looks set for yet another really good season. Pavlich was instrumental on the field as both a player and a leader in 2015. The second half of the year was hampered by achilles tendon soreness. Freo’s inspirational captain played his 300th game in 2014 to become the first player from a WA-based AFL club to reach the mark. He had a number of vintage performances throughout the year and will play on into a 16th season. The captain sat out rounds 4-14 through injury and was suspended from rounds 17-19. He was pivotal at the end of the year, booting 18 goals in the last seven games. Fremantle’s greatest player enjoyed yet another outstanding season in 2012. Playing permanently in attack again, Pavlich was clearly the best forward in the AFL in the second half of the season. From round 10, right up until the Semi Final in Adelaide, Freo’s skipper booted 58 goals. He ended the season with 69, tied for second place in the Coleman Medal, which was won by Richmond’s Jack Riewoldt. Pavlich had some memorable performances, including six goals in wet conditions against the Tigers at the MCG in round 11, and a stunning eight majors that sunk the West Coast Eagles in round 19’s Carlton Mid Derby. But there were none better than the six-goals Pavlich kicked against reigning premiers Geelong in an Elimination Final at the MCG. Three came in Freo’s withering opening quarter burst. The rest of his goals were kicked at periods of the game when the Cats were making their challenge. As well as winning the club’s goal kicking for an eight time, Pavlich passed former Eagles’ greats Peter Sumich and Glen Jakovich for the most goals and games, respectively, by a WA-based AFL player during the 2012 season. He also kicked his 500th career major in round 7 and looms as a clear favourite to win his seventh Doig Medal. A sixth Doig Medal was reward for consistency for Freo’s brilliant skipper who rarely, if ever, put in a bad game in 2011. He started the year brilliantly, gaining 20 or more disposals in each of the first 10 rounds. In fact, he averaged 28.5 possessions per game from rounds 1-7 in which Freo built up a 4-2 win-loss record. Pav’s most dominant game of the season came when the side was struggling with injuries sustained during the round 14 match against Brisbane at Patersons Stadium. He lifted his team over the line with 29 disposals and five goals. 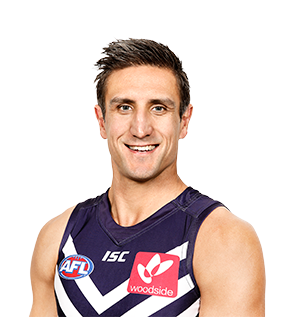 Pavlich topped Freo for total kicks (272), effective kicks (167), clearances (87), inside 50s (83) and score assists (27). He was also top three in total disposals (471), contested (212) and uncontested (255) possessions, handballs (199), hard ball gets (77) and tackles (86). After playing predominantly midfield in 2011, the full-time return of Mundy, Barlow and Morabito in 2012 should see Pavlich return to the forward line as Freo’s focal point in attack. Fremantle’s captain was at his inspirational best in 2010, helping his side get off to its best ever start with a string of brilliant performances. He kicked 36 goals in the first 11 games despite spending a lot of time in the midfield. Pavlich ended up with 61 goals for the year, topping the club’s goalkicking for a seventh time. His performance against reigning premiers Geelong in round 3 was one of the best individual games by any player in the AFL this year. Twenty-six possessions and five goals helped Freo trump the Cats at Subiaco Oval. 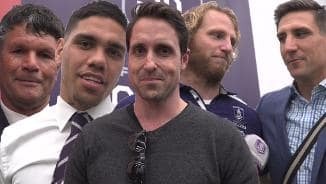 Freo fans can rest easy knowing the five-time Doig Medallist is now a Docker for life, after signing on for a further four years. Pavlich is also only two games away from equalling Shane Parker's club record of 238 games.